Pearl-Balkis with Radiant Muse makes Darch Poison. 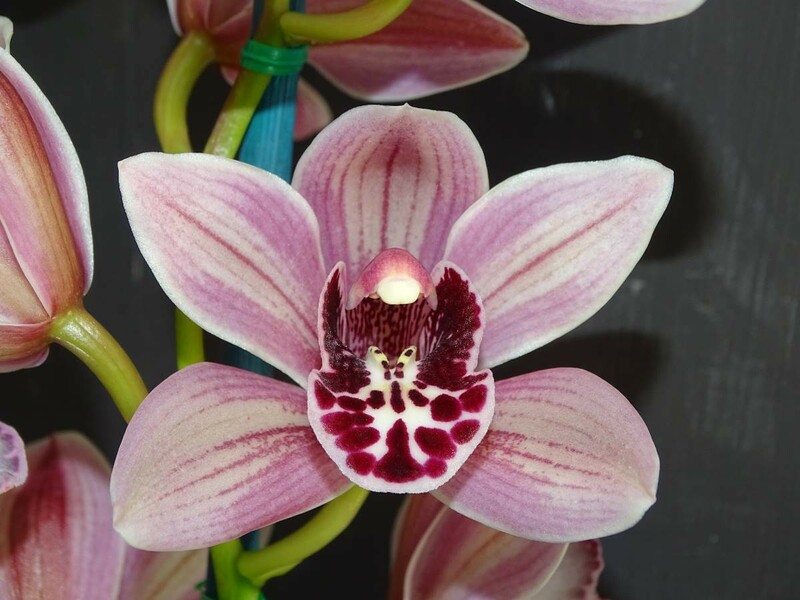 A white with a pink blush with a red spotted and blotched edged labellum. Expect pink intermediates with a red spotted and blotched labellum. Late flowering and can be flowered as a pendulous type.